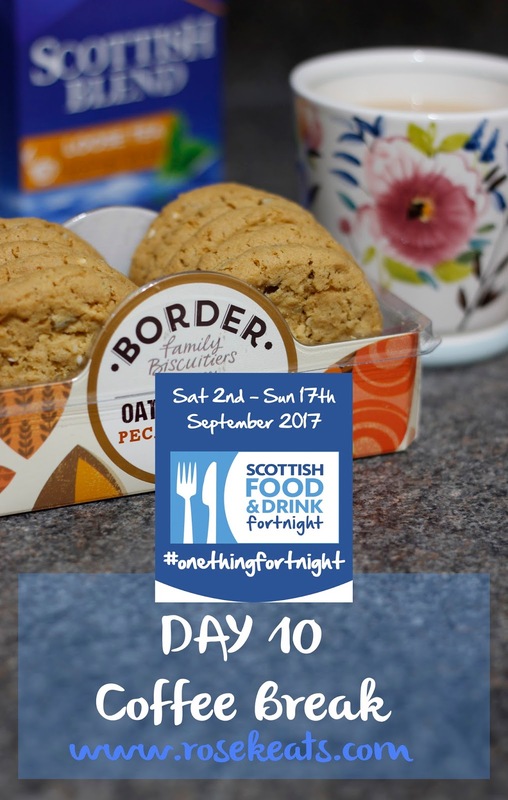 Day 10 of #ScotFoodFort brings us Coffee Break. I don't drink coffee, so I've interpreted it loosely as 'Hot Drink Break' and made tea instead. 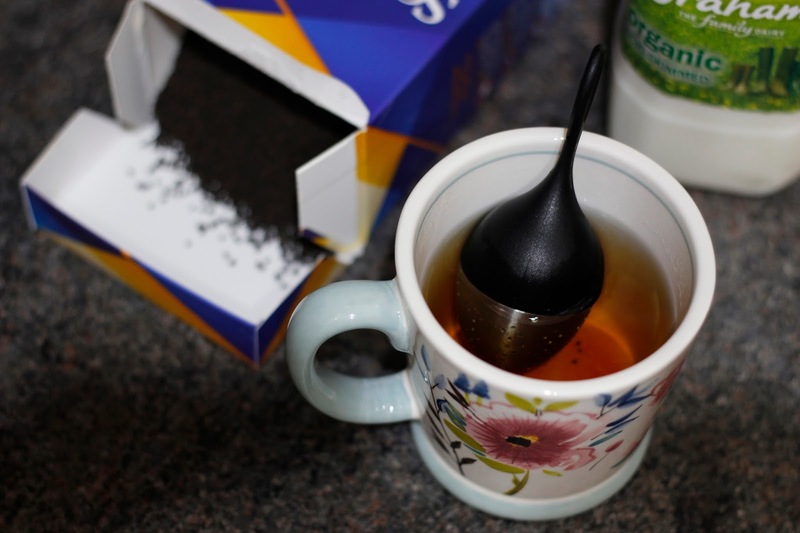 I'm guilty of going for fancy flavoured teas, and on a day to day basis I'm partial to a bit of Earl Grey but whenI saw this in Tesco I decided to give it a go - Scottish Blend Loose Tea. It's produced by Unilever and although it's made for using with Scottish water it doesn't seem to actually be a Scottish product, but it was very nice! 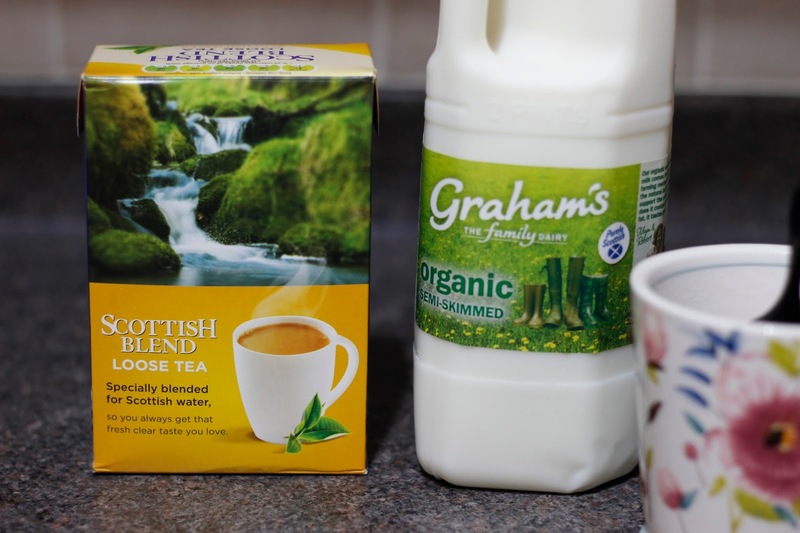 For the actual genuine Scottish aspect I went for Grahams milk in my tea. 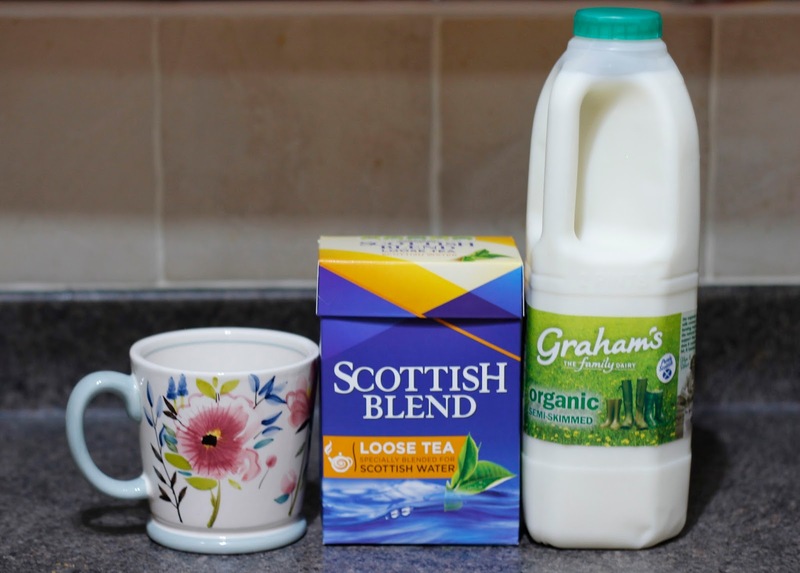 You can learn more about the Graham's family story here, but the bottom line is they truly a family run dairy producing some of the best milk in Scotland. I served up my tea in my beautiful bluebellgray mug, which I received c/o John Lewis at an event a few years ago, but which is still going strong and looks as beautiful as it did the day I got it. Bluebellgray's studio is located in Glasgow and Fi Douglas who owns the company is a graduate of the famous Glasgow School of Art, you can read more here. Their designs are beautiful and I can't even begin to imagine how beautiful their studio must be to actually be in! 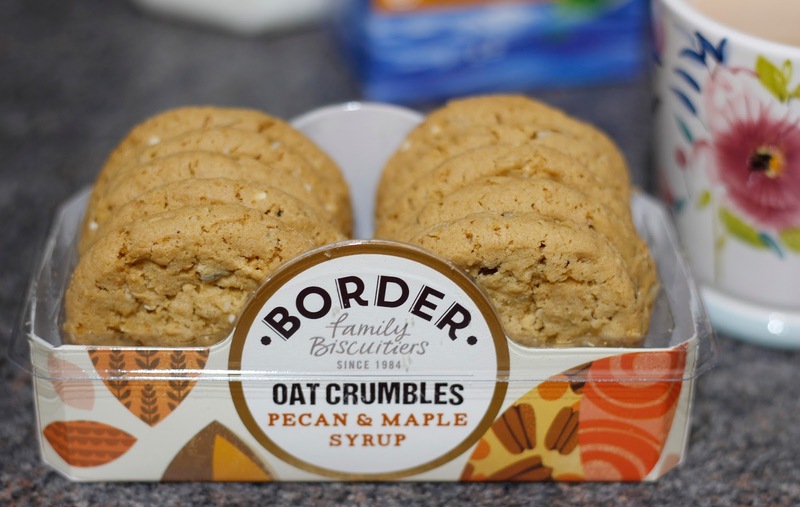 I mentioned Borders Biscuits before, but I've been saving these Pecan & Maple Syrup Oat Crumbles for today as they're my favourite to accompany a good cup of tea... Why? Because they are the best dunkers out there - hands down! A simple and easy but delicious coffee break - or tea break, if you're in my club! Oh god, I really want a Borders biscuit with my cuppa tea at work now, yummmm!